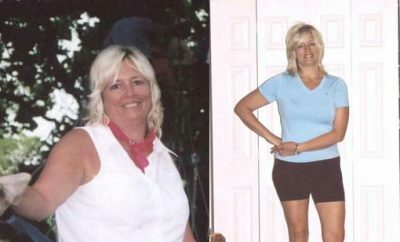 During her years in the Marines, 43-year-old Penny McKay was constantly in trouble for being overweight. “I was assigned to run with the ‘fat platoon,’” she recalls. After leaving the Corps, she let herself go. 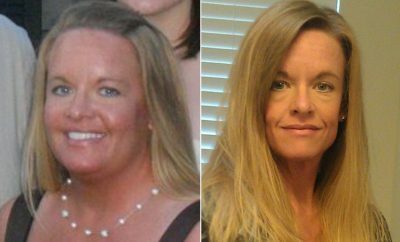 Finally, at 234 pounds, she found herself inspired watching Dr. Phil encourage dieters on his show. “He said, ‘Six months are going to pass by whether you do something or not.’ I literally got up off the couch, went online, and found a Weight Watchers meeting. 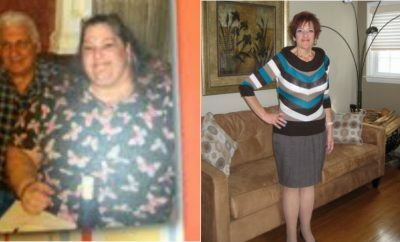 Two hours later, there I was in the meeting, crying.” Penny combined Weight Watchers with treadmill walks and dropped 80 pounds in two years. How she stays on track Penny religiously figures out all her meals a week ahead and writes down everything she eats. Her biggest change Penny used to fry food so often she’d go through a whole bottle of oil in one week. She swapped her fryer for a De’Longhi BG24 Perfecto Indoor Grill ($80; www.amazon.com). “It helps a lot in cutting back on fat,” she says. Penny’s motivation Milestones are a big deal for Penny. She keeps symbols of her achievement in plain view, including a picture of her 234-pound self. Her advice: Don’t let a diet isolate you. 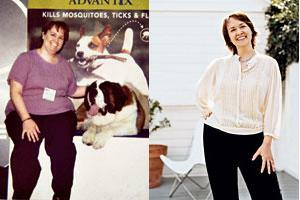 Penny still enjoys dining out—and does it without sacrificing her weight goals. She uses www.dwlz.com to look up restaurant nutrition info and chooses what she’ll order before leaving home.